Sure, Kimmy Schmidt may live with the very special Titus Andromedon in an outdated basement apartment with a closet-sized bedroom, but Ellie Kemper's real home life is just a little bit different. 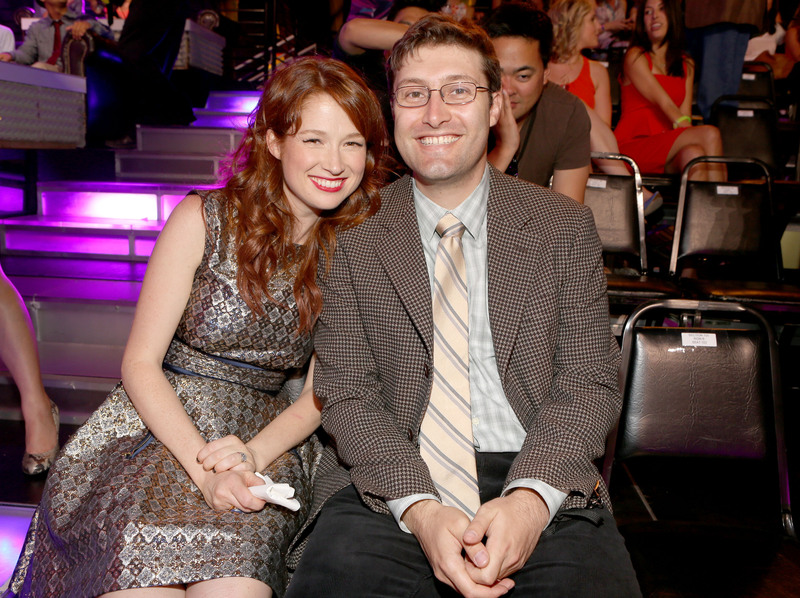 In actuality, Ellie Kemper is married to writer Michael Koman, and I think it's safe to say that neither of them keep their entire fortunes in the freezer. But, then again, I guess I shouldn't just assume things like that. Kemper and Koman could also very well have shelves of staged doll furniture. Who am I to judge? But, for the sake of understanding The Unbreakable Kimmy Schmidt's more low-key hubby a little better, we should probably focus on the things we do know. And, trust me guys, there are a lot. Because, whether you were aware of it or not, Koman is actually a pretty big deal in his own right. Not that being Kemper's husband isn't also a resume highlight, it certainly is, but everyone has their own identities outside of their (amazingly awesome) partners, and I think it's healthy to acknowledge a person for just being themselves. Especially when they do particularly noteworthy work and achieve some impressive honors. No, not just any kind of writer; one that you have almost certainly appreciated the work of. According to his IMDb page, he has written for Late Night With Conan O'Brien, The 58th Annual Primetime Emmys, Important Things With Demetri Martin, Saturday Night Live, The Jack and Triumph Show, The Colbert Report, Nathan For You, Eagleheart, and MADtv. He received the Outstanding Writing - Variety Series Emmy in 2007 for his work on Late Night With Conan O'Brien. In my humble opinion, dry senses of humor are the best senses of humor. But really, he's humorous no matter your particular preference. He is totally untrustworthy what with calling in sick to work when he wasn't actually sick... along with the rest of the general population. Koman and Kemper were married in July 2012 — three years strong and counting! Let's just hope that now when he plays hooky, he presents his Emmy to his higher ups and they let the poor dude sleep in.